SuperCover. Rent with zero excess. No-one likes unexpected damage bills. But then no-one expects accidents. So, to protect you against both, we’ve come up with SuperCover. It gives you all the protection against collisions, theft and accidental damage you need. Except with zero excess payments. It’s just one extra way we make car hire even more rewarding. Just use your hire car in accordance with our terms and conditions. Then, if it’s stolen or someone tries to steal it, you pay absolutely nothing. If it’s damaged or vandalised, you pay absolutely nothing. Even if you’re involved in a bump, you still pay absolutely nothing. 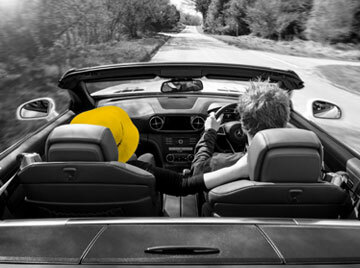 The only things SuperCover doesn’t cover are Hertz NeverLost SatNav units, broken or lost keys, contamination of fuel and other grossly negligent actions or breaches of your rental agreement. And it’s only available in participating countries. Otherwise, it covers you everywhere and for everything. SuperCover does not cover broken / lost keys, contamination of fuel or Hertz NeverLost navigation units.